Google(s goog) is already committed to make our offices, living rooms and automobiles smarter through its innovations on the PC, connected TV and connected car. But now, through its investment arm, Google is taking an interest in a new room: the kitchen. 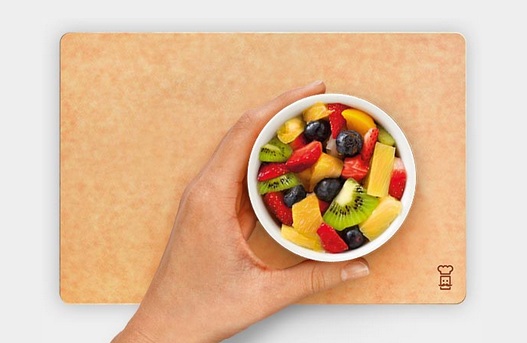 Google Ventures, along with Spark Labs Global Ventures, is leading a $1.2 million seed round for The Orange Chef, a San Francisco startup connecting ordinary kitchen gadgets to the internet and the wealth of dietary and nutritional information that resides there. Bertelsmann Digital Media Investments, Kima Ventures, The Social+Capital Partnership, Graph Ventures and angel investors also participated in the ongoing round. The Orange Chef already sells kitchen accessories for the digitally connected cook, such as a cutting board with a built in tablet stand and iPad covers that protect your slate from grease splatters. But its key product doesn’t arrive until February: a digital scale called the Prep Pad that links via Bluetooth to an iPad or iPhone(s aapl). 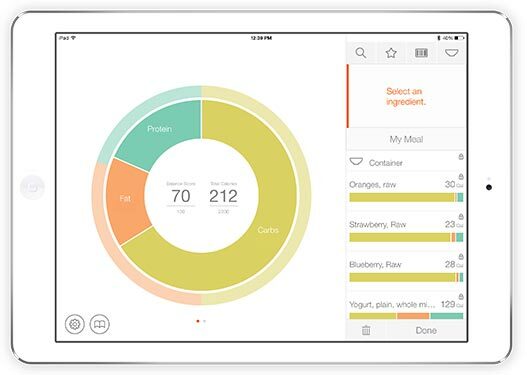 An iOS app called Countertop accesses Orange Chef’s database of 220,000 ingredients and packaged goods. You select an ingredient in the Countertop app or scan a package’s bar code through the camera sensor, and then place that item on the scale. Countertop then parses the nutritional information in your food, breaking them down into proteins, carbs and fat or calculating total calories. Google has taken a much greater interest in food of late. It’s added recipe parsing capabilities to its search engine letting cooks search for dishes by nutritional content and cuisine, not just keywords. Given how big groceries are in our in our budgets, it isn’t a surprise that Google Ventures is looking at technologies that take advantage of those growing stores of food data.